The Mica pendant is an interesting and unusual globe-shaped pendant light. 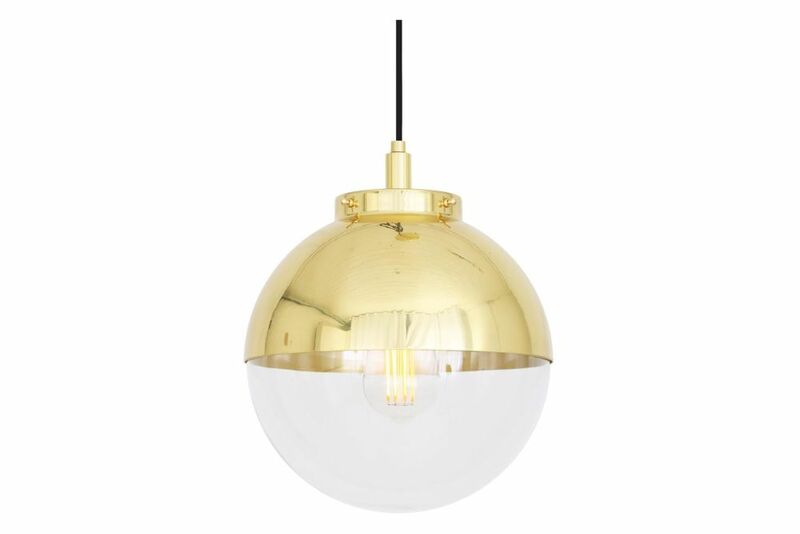 It features a glass globe lamp shade - clear or opal - that fits neatly inside a brass dome umbrella. The diameter of the Mica pendant is 260mm and overall height 320mm. The Mica pendant is water-resistant and suitable for installation in almost any bathroom or outdoor location. It's particularly suited as the centrepiece to a modest-size bathroom or in restaurant areas where moisture resistant may be a consideration. The Mica bathroom pendant is supplied with one metre of round braided cable as standard.